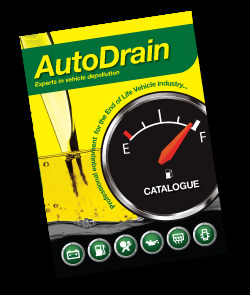 With one exhibition completed… AutoDrain are on to the next one!. We are very pleased to announce that we will be exhibiting at the Recovery Tow show , held at the Telford International Centre on the 7th and 8th of September 2016. As ever the Recovery Tow Show is a fantastic exhibition, being one of the biggest events in the industry to showcase the very latest equipment the recovery sector has to offer. The Recovery Tow Show is full of the latest up to date equipment, parts and accessories, it also covers finance and insurance – just about everything you could need within the recovery industry. Whether you are new to the industry, looking to set up a new business or wanting to invest in new equipment to increase efficiency or expansion, come and see AutoDrain on STAND B350. We have over 25 years experience in working with fuel recovery and storage and are happy to pass on any industry expertise and advice to you and your business. At AutoDrain we strive to ensure that all of our products are designed and manufactured to the highest standards possible. We use only the very best materials and rigorously test all of our equipment, guaranteeing that you receive the safest, highest quality and most durable products available. Will be attending with plenty of equipment and show deals for all our customers to come, see and take advantage of throughout the two day event. Our fuel removal equipment has been specifically designed to create a fast and efficient way to manage fuel removal with the safe transfer of fuel from vehicle to storage.